Thousands of rescuers were continuing efforts to reach out to stranded people and get relief supplies to isolated areas by hundreds of boats and nearly two dozen helicopters, said P.H. 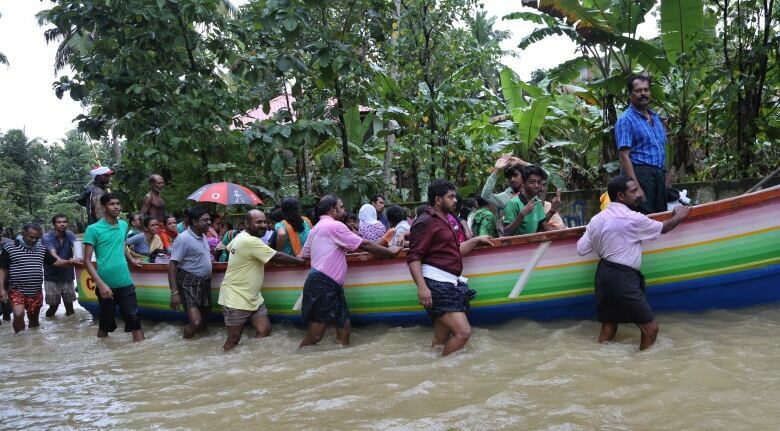 Kurian, a top disaster management official in Kerala. He said weather conditions had improved considerably and expected the nearly 10,000 people still stranded to be rescued by Monday. In some villages, floodwaters up to three metres high had entered homes. Rescuers in a motorboat reached a hamlet where they tried in vain to persuade an 80-year-old woman, Bhavani Yamma, to be taken to a government-run shelter from her partially submerged single-storey house. 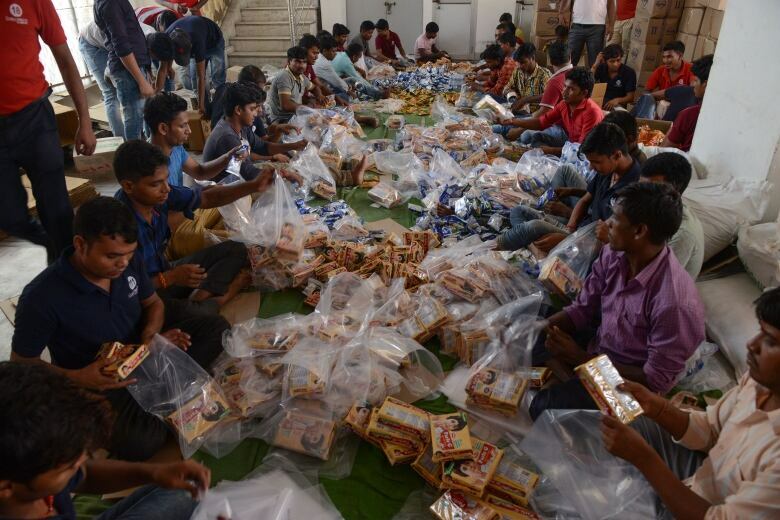 At least two trains carrying about 1.5 million litres of water moved to the flooded areas from the neighbouring states of Madhya Pradesh and Maharashtra on Sunday, Indian railway official Milind Deouskar said, according to the Press Trust of India news agency. Officials estimate that more than 10,000 kilometres of roads have been damaged. 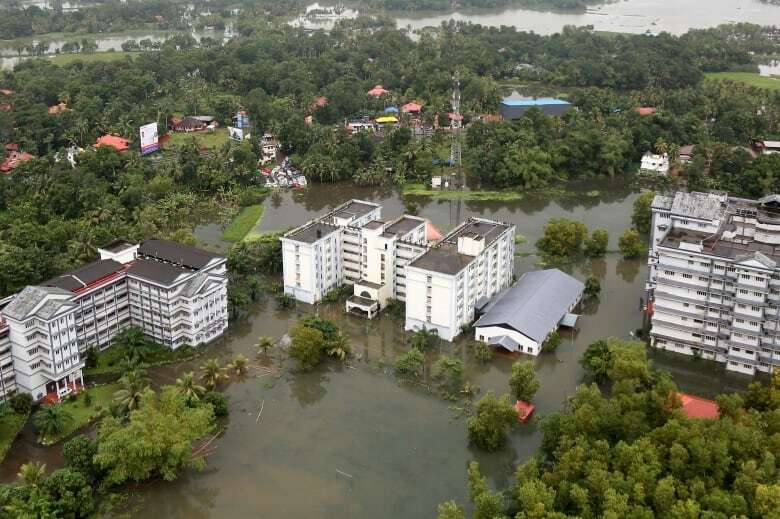 One of the state's major airports, in the city of Kochi, was closed this past Tuesday due to the flooding. It is scheduled to remain closed until Aug. 26. 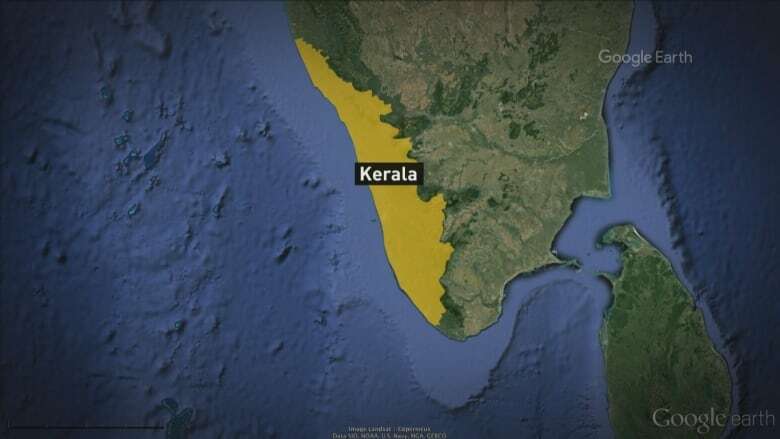 The Indian government said a naval airbase in Kochi would be opened for commercial flights starting Monday morning. 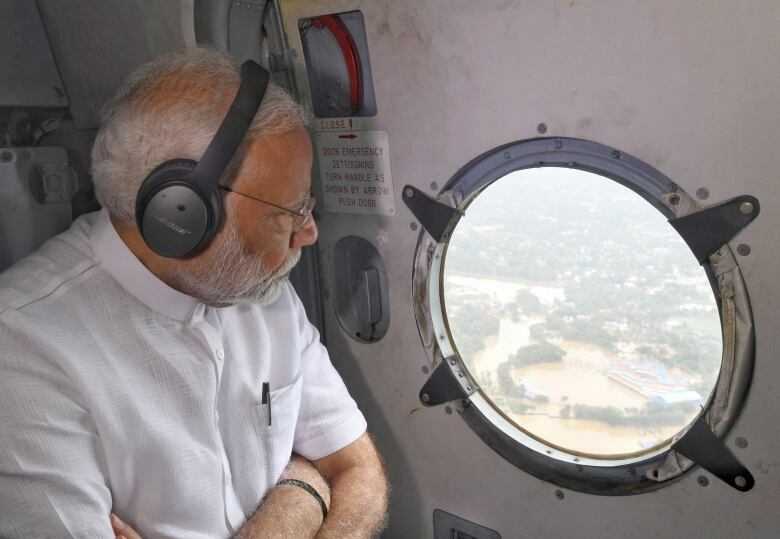 Prime Minister Narendra Modi inspected the flooded landscape from a helicopter on Saturday and met with the state's top officials, promising more than $70 million US in aid. While the central government has dispatched multiple military units to Kerala, state officials are pleading for additional help. Canadians with ties to the region fear for friends and relatives left stranded by the disaster. "No one was prepared for this," said Prasad Nair, president of the Mississauga Kerala Association, located west of Toronto. "Most people have lost everything that they have." "The house that I lived in during my childhood has been fully submerged in water for five days," said Nair, 47. The international community needs to understand what's happening in Kerala because the state will need help, he said. "We are working really hard to get an appointment with the PM's office," he said. "But we have not heard anything back from him yet." "Canada has the technology, ability and experience in these kinds of disaster operations," he said. 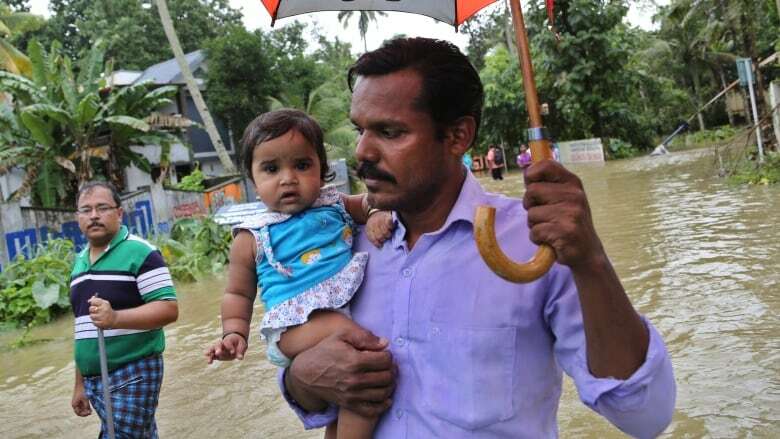 Tragic news from Kerala, India - Canada sends its deepest condolences to all those who have lost a loved one in the devastating floods. Our thoughts are with everyone affected. Prime Minister Justin Trudeau said on Twitter on Saturday that he sends his deepest condolences to those affected, and a spokesperson for Global Affairs Canada did not immediately respond to requests for comment. Indian officials have put initial storm damage estimates at nearly $3 billion.